Daryl Nixon threw his first curling rock at the Kronau Curling Club (where he grew up) as soon as he was able to put both feet in the hacks and push the rock with both hands. He has been involved in curling as a competitor, a coach and a volunteer ever since that first rock. In High School he competed in High School boys Playdowns and in 1974 competed as a skip at the Provincial Junior Championships. Once out of High School Daryl continued to curl competitively as an adult. He curled in his first Southern Playdowns in 1983 curling with Rick Schneider, Mike Schneider and Kelly Ell. 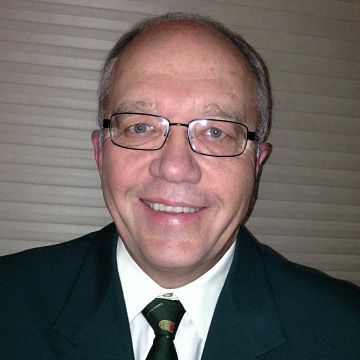 Daryl competed in his first Provincial Championship in 1985 curling with Ron Brucker. Between 1994 and 2001 he competed at the Provincial championship 6 more times. Most of those appearances were with Jamie, Rick and Larry Schneider. Daryl got his first taste of coaching when Jamie Schneider asked him be their fifth player at the 1990 Brier in Sault St. Marie. The team lost out in a tie-breaker. 2002 – Coached the Scott Bitz Team at the Brier in Calgary where the Team finished 4th. In 2003 Daryl and his wife Bonnie moved to St. Albert, Alberta to pursue work opportunities. He also continued to coach. In 2003 he coached the Alberta Mixed Provincial Champions to the final of the Canadian Mixed Championship. The team consisted of Shannon Kleibrink, Richard Kleibrink, Amy Nixon and Mike Westlund. This was the first mixed team at the Canadian Championship to curl with a female skip. Daryl continued to coaching Shannon and Amy along with Glenys Bakker and Christine Keshen. 2004 – They won the Alberta Championship and represented Alberta at the Scott Tournament of Hearts. 2005 – The Team lost the Alberta Provincial Final but rallied to win the Canada Cup. 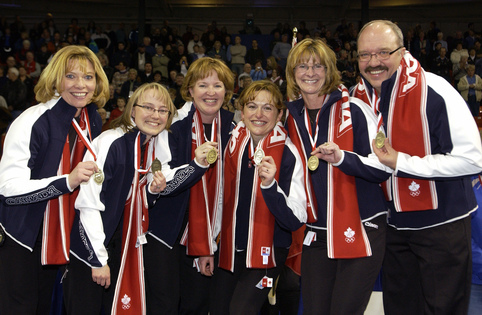 In December of 2005 the Team captured the Canadian Curling Trials and became the 2006 Canadian Women’s Curling Olympic Team. In 2006 at the Olympics in Turin, Italy the represented us well and came home with a bronze medal. Besides curling and coaching Daryl has also worked as a volunteer in our sport. He served on the board of Directors of the Wheat City Curling Club in Regina, the Board of Directors of the Kronau curling club and as a volunteer on the executive of the Regina Bonspiel Association. He has presented and facilitated Level 1 and 2 Curling Clinics and participated in presentations at High Performance Camps. In 2006 Daryl was the recipient of the Coaching Excellence Award by the Coaching Association of Canada and in 2007 was inducted into the Southern Alberta Curling Association Hall of Fame.